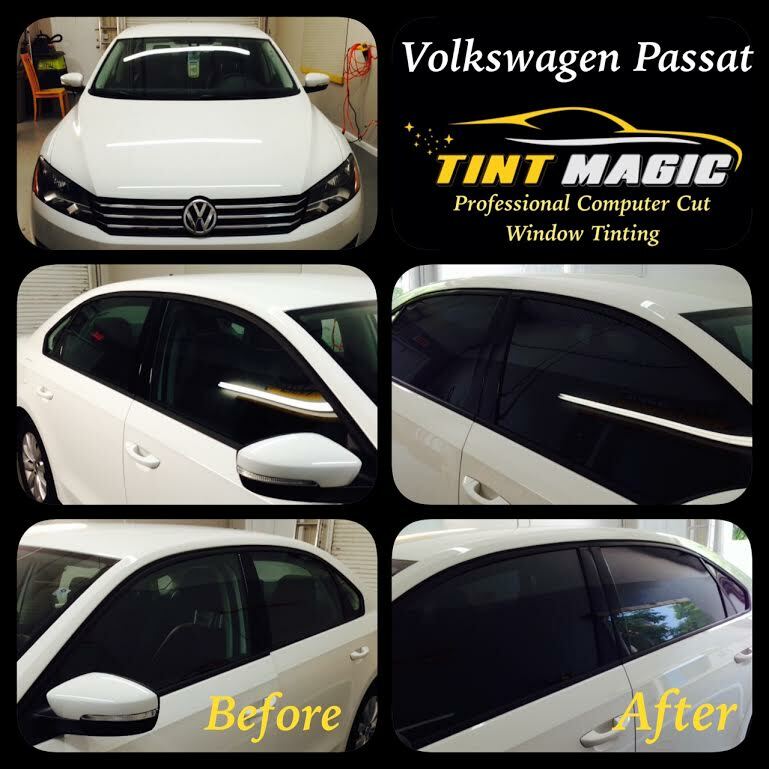 Volkswagen Passat Window Tint at Tint Magic Window Tint Coral Springs. The Volkswagen Passat is the first German family sedan designed just for us. American drivers have quickly warmed to this bigger, cheaper Passat, with more models leaving dealer lots than ever before. Built at VW’s shiny new manufacturing plant in Tennessee, the Passat is as American as a German sedan can be, yet it still offers enough of that European character to feel special. Longer and wider yet way down in price, the VW Passat is designed for and produced in the good old U.S. of A. VW’s once-upscale Audi fighter is retooled and ready to do battle with Honda and Hyundai, but loses a certain degree of its German flavor in the process. With a 170-hp 1.8-liter turbo four, a 280-hp 3.6-liter VR6, and a 150-hp 2.0-liter turbo-diesel, the Passat offers a handsome, roomy interior and decent road manners. Sadly, its exterior styling is lackluster and borders on bland. A five-speed manual and a six-speed conventional automatic are the transmission choices for the 1.8-liter; the diesel comes with a six-speed manual or VW’s excellent DSG dual-clutch automatic. Volkswagen lists five Passat trim levels—S, Limited, SE, Sport, and SEL—but the lineup is complicated with sub-trims. The S ($22,160), Limited ($24,815), and Sport ($27,735) versions, for example, are offered only with the 1.8 turbo, and the Limited is automatic only. TDI Passats come in SE ($27,915) and SEL Premium ($34,745) editions, but the TDI SE can be ordered with a sunroof ($29,945) or with a sunroof and navigation ($31,670). The auto-only V-6 SEL Premium ($36,815) is the top of the line and the only model with the VR6 engine. We have applied Silver Package 15% all around the car. Volkswagen Passat Window Tint looks amazing!